Wireless networking has evolved considerably in recent years offering faster, more accessible WiFi for businesses and homes. We all now expect to be able to “log on” in Hotels, Coffee Shops, at work, at home and just about everywhere else. For individuals and organisations looking to implement a wireless network, the traditional wireless router is frequently not up to the task as high speed and site wide WiFi coverage is now a core requirement. Our friends at DrayTek fully understand this and are one of the market leaders in Managed Wireless solutions, offering a simple install, flexibility for all the different types of users, site wide coverage with supreme performance. DrayTek’s managed wireless solution delivers the latest high speed wireless “AC” (case studies available), reliable connectivity through the 2.4 & 5GHz range and a portfolio of devices that all work together to create the network fine-tuned to your needs. 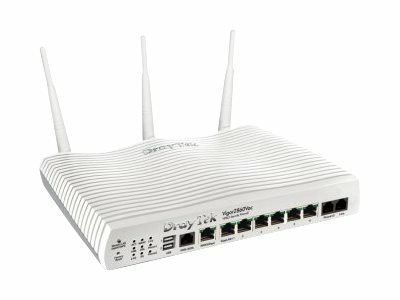 Mobility – providing a single WiFi network across multiple access points (Wireless AC -also backwards compatible to previous wireless platforms). This allows individuals to log on in one part of the network, and then move throughout the campus or building without losing connection. Simplicity in provisioning and ongoing management — a network administrator can set up the network using the provisioning tool and then troubleshoot or make adds/moves/changes simply from a central controller. 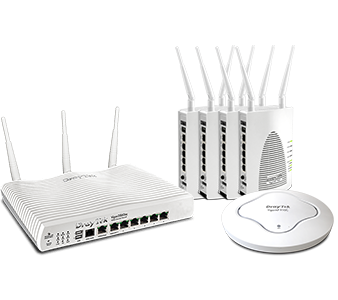 Cost Effectiveness – DrayTek business class routers and the DrayTek solution set consists of a range of Managed Wireless access points to suit the budget and/or environment. 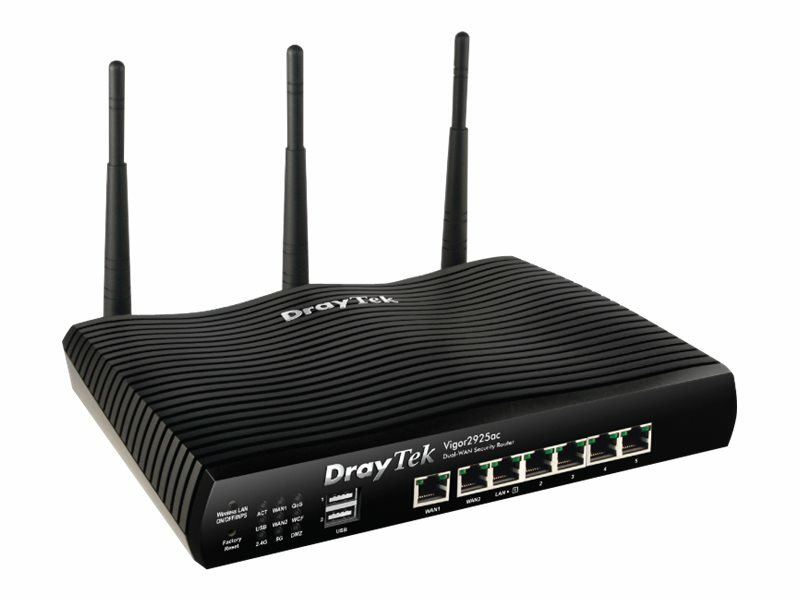 Managed Wireless AC from DrayTek is a complete, simple-to-manage solution that addresses all of the typical issues such as reduced performance and black spots, as well as providing useful features to get the most from your network. With such a demand from our clients here at Comms we work closely with DrayTek to offer you the most up to date products and solutions. • WiFi throughout the building solution for four rooms and a reception area. • Segmenting office and guest connections. • WiFi interference is in close proximity. • Staff need to move freely through the building without losing WiFi connection. 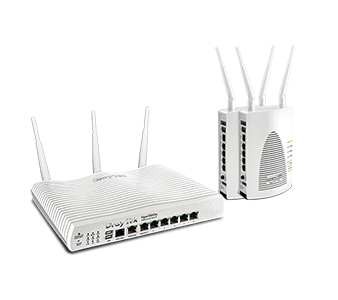 •Ability to balance traffic across all available access points. • Solution for three offices and a training centre. 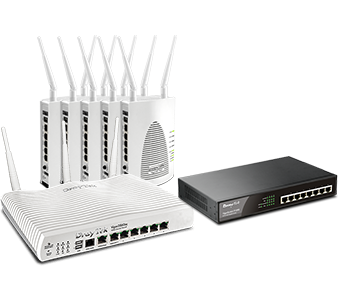 – One AP for each office and three in the training centre. • Delivery of WiFi through covert devices. • Solution for four offices and a customer facing trade counter/ retail outlet. 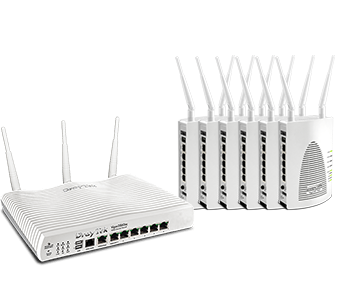 The Vigor 2860 series is perfect for users with ADSL now who might upgrade to VDSL later. With security to the fore the Vigor 2925 series is our dual-Ethernet WAN firewall for load-balancing or failover. 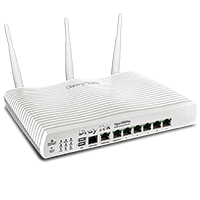 The DrayTek VigorAP 902 is a wireless access point which can be operated in standalone or centrally managed/monitored mode, with high specification professional access point providing reliable and flexible coverage to all manner of applications. As you can see Wireless AC offers significant benefits over traditional LANs, including mobility and importantly cost savings. If you require any further information please do not hesitate to contact a our dedicated DrayTek representative, Richard, on 01245 459492.